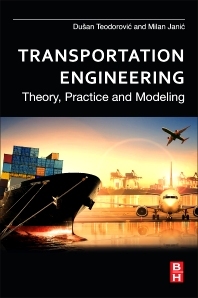 Transportation Engineering: Theory, Practice and Modeling is a guide for integrating multi-modal transportation networks and assessing their potential cost and impact on society and the environment. Clear and rigorous in its coverage, the authors begin with an exposition of theory related to traffic engineering and control, transportation planning, and an evaluation of transportation alternatives that is followed by models and methods for predicting travel and freight transportation demand, analyzing existing and planning new transportation networks, and developing traffic control tactics and strategies. Written by an author team with over thirty years of experience in both research and teaching, the book incorporates both theory and practice to facilitate greener solutions. Ph.D., Professor, University of Belgrade; Serbia, Professor Emeritus, Virginia Tech, U.S.A.